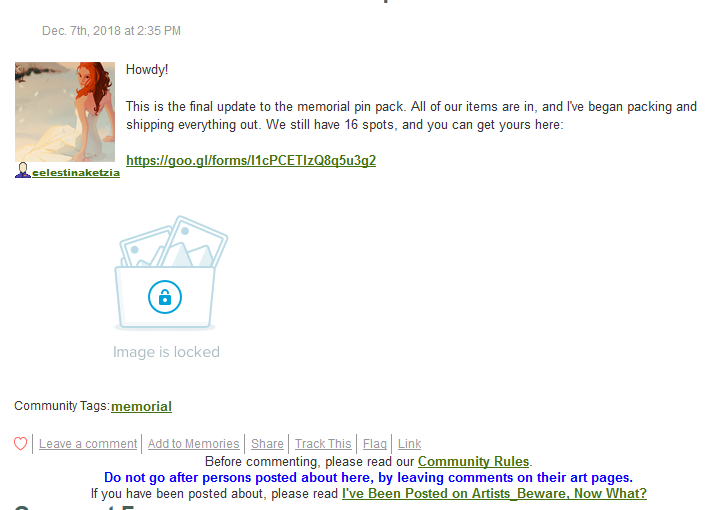 Dani Memorial Pin Pack - Final Update - "Artists Beware"
Here's a picture of the sticker and pin! Oh wow, thanks LJ. Fixed it! Thanks, Teek!